The original pottery planter that grows a green coat! 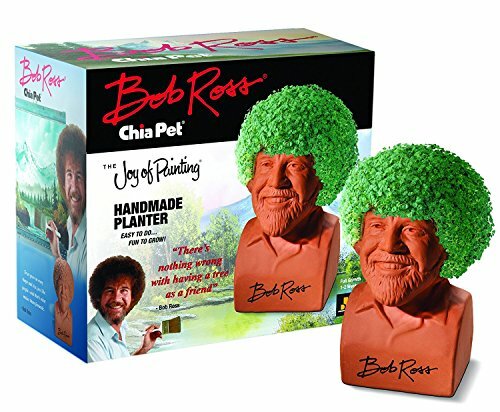 welcome a new Edition to the Chia family with bob Ross Chia pet! he was the host of the most watched art show in TV history "the joy of painting". contains: handmade pottery planter; Chia seed packet for 3 plantings; convenient plastic drip tray; planting & care instructions.